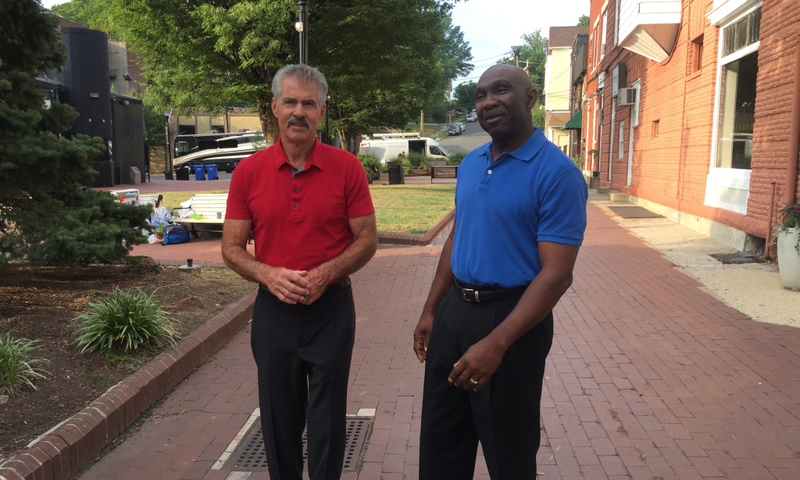 After the 1986 World Series, Mookie Wilson & Bill Buckner's careers took different paths. The 1986 Mets won the World Series, the second in franchise history. Mets fans fell in love with that team in an affair that will never end. Once a Champion in New York, always remembered. 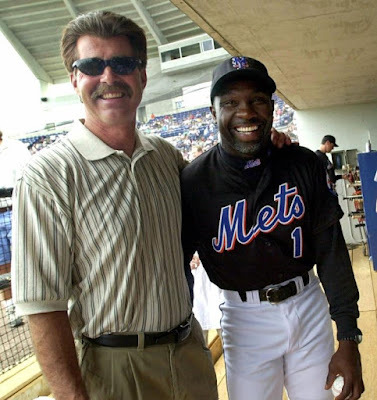 Just as the 1969 Mets live forever with it's heroes so do the 1986 Mets, and Mookie Wilson has become a Mets icon. Not all things are bases on one event, Mookie had a fine career as a player & as a coach. His good natured fun loving personality also made him one of the Mets All Time greats. 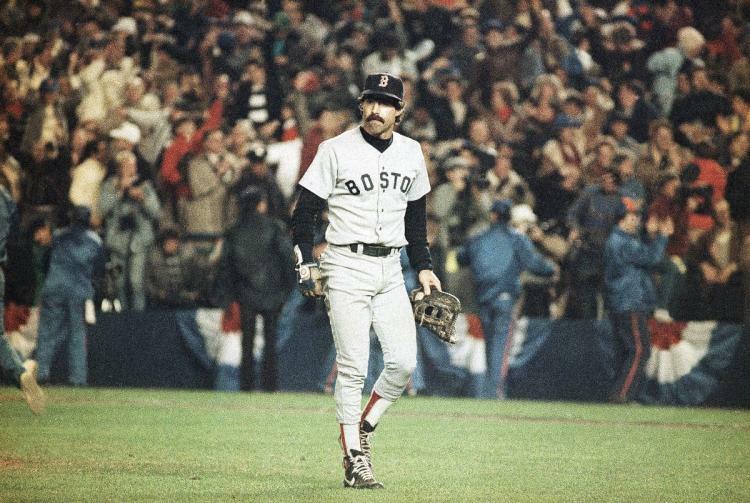 But for Bill Buckner things went a lot different. Buckner had a fine 22 year career, he won a batting title in 1980 with the Chicago Cubs making the All Star team & hit .300 or better seven times. He had a steady gig as either an outfielder of first baseman in classic baseball cities like Los Angeles, Chicago & Boston as well as brief stints in Kansas City & Anaheim. 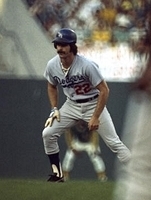 He played in the '86 World Series as we all know, but many forget he played in 1974's first ever all California World Series with the Los Angeles Dodgers. In that series he even hit a HR in Game #3 off Oakland's Catfish Hunter. In 1986 he even drove in 100 runs for the Red Sox pennant winners & was dealing with bad knees as well as a partially torn Achillies tendon. 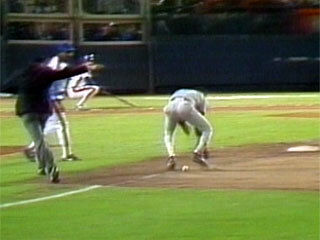 But when the ball went under Buckners leg in Game Six of the 1986 World Series, it was all he was remembered for. It took many years for the fans of Boston to forgive him. He had received death threats, hate mail, was booed & heckled every where he went. The New York fans cheered him when ever he was in town. The Red Sox released him in July 1987 but resigned him in 1990. All was finally forgiven after the Red Sox began winning World Series titles in the 200's. 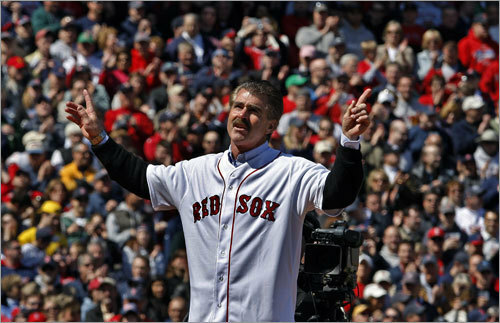 The Curse of the Bambino was gone & Buckner was officially forgiven when he received a four minute standing ovation at Fenway Park on Opening Day 2008. He threw out the first pitch to Dwight Evans that day as the Sox raised their Championship banner. 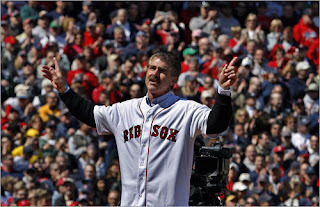 Quotes: Bill Buckner- "I really had to forgive, not the fans of Boston, per se, but I would have to say in my heart I had to forgive the media for what they put me and my family through. So, you know, I've done that and I'm over that." After Wilson & Buckner's playing days they began to do the autograph signing circuit in the 1990's. At first it was awkward, especially when fans said the wrong things. Mookie always said he would have beat out the little roller anyway, regardless of the Buckner error. Through out time, they discovered similarities in their lives, such as their family situations, their Christian Faith & their respect for each other. The two have now become friends & even call each other to catch up on things when they don't see each other for a while. The two appeared in MLB Network's 20 Greatest Game segment & the chemistry was positive. Recently they appeared together again in another MLB segment (see below). Baseball is a life long passion for players & fans a like. It takes turns for the good & bad. It's failures, losses & errors are unfairly remembered just as much as it triumphs. 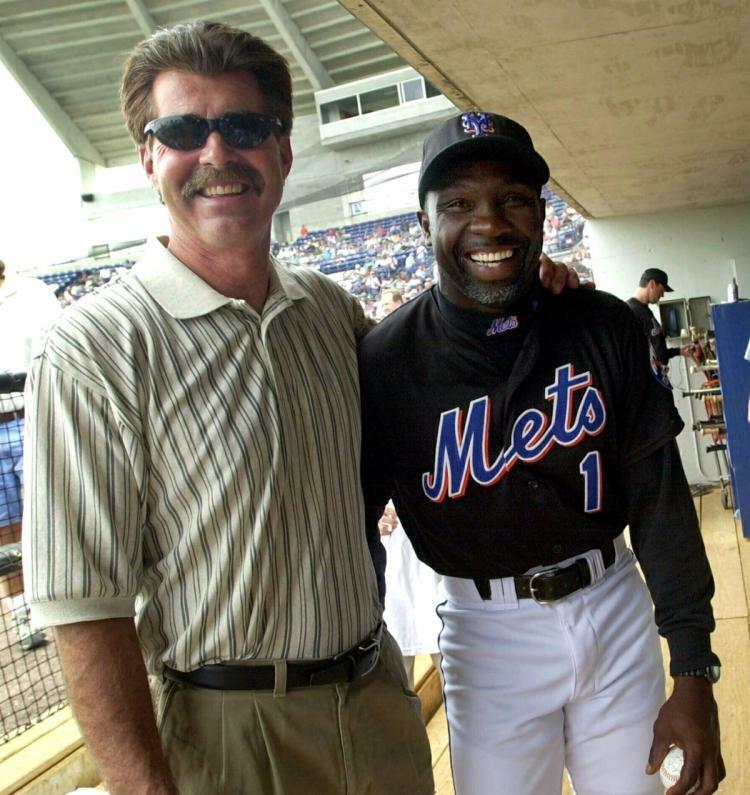 In this case time has healed some of the wounds for Bill Buckner & Mookie made yet another friend.